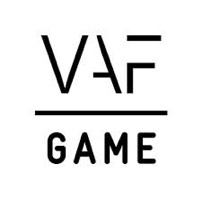 Last week VAF Gamefonds published its annual results. Last month 5 more entertainment game projects received funding from VAF Gamefonds. Time to take a closer look at some of those projects. Today we focus on Inside Pete from the new startup Sector32. Inside Pete is a single-player strategic 2D game with real time action. It can be compared to a tower defence game in the sense that it borrows simplified elements from a classic real time strategy game. 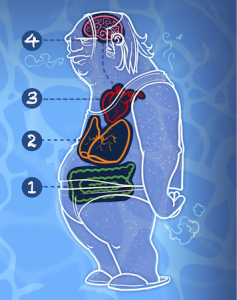 In the game you’ll travel from the colon trough the stomach and the lungs up to the brain. Each of these organs has its own characteristics and inhabitants. We refer to these organs as the four different worlds. Each world will hold six different levels. Meet Pete. Pete is a confused, burnt-out, middle-aged man caught in a downward spiral beyond any medical, psychological or moral help. Do you know that moment when you have so much on your mind you just decide to take a nap? Well that’s Pete’s very existence. His general attitude in life: if it requires wearing pants, it’s not worth bothering. Even his (former) friends tend to avoid him, and he doesn’t even blame them. You might think of yourself as an individual, but you’re a sweaty walking fluid-filled chemical factory. Nothing more than a product of your forefathers’ gene pool. You house more than 500 species of bacteria and other organisms. One hundred trillion of them. All working at the same time for you without one single union meeting, strike or mutiny, the occasional sniffles or acid reflux aside. There are families of them working in your stomach right now to digest your latest meal, even the infants pitch in. Millions of sparks travel with 170 miles per hour over the neuron highways in your brain just so you can express your antipathy for public transportation. Mites are cleaning your eyelashes of decommissioned skin cells at this very moment, while white blood cells are sacrificing their lives battling the parasites popping out of the half-digested chunks of sushi traveling through your body. If you think that’s filthy, wait until you get inside Pete. His sheer disgust and profound disinterest in a healthy and wholesome way of life has turned him into an incubator for foul creatures, the likes of which have never seen the light of day. Lock and load would be a wise thing to do once you’re in.